Pygmy coolers have been marked by expert's findings as the beer coolers with the best ratio of price/performance/quality/dimension. 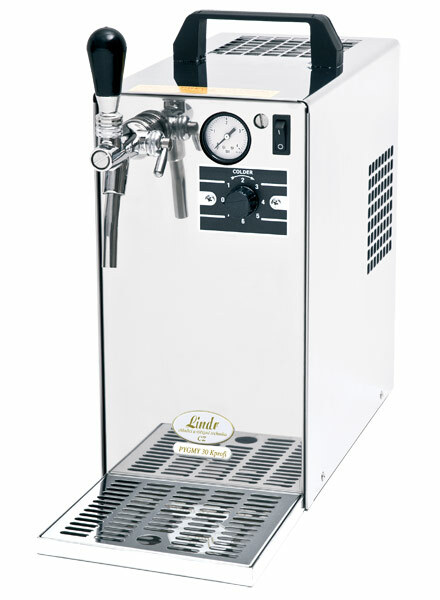 One grab handle on top of the cooler enables the machine to be carried and moved with ease. The Pygmy 30/Kprofi beer cooler is named after its high performance of 25-30 l/hr, small dimensions and regulatory air system, opening new opportunities for both domestic and commercial use. It also comes with an inbuilt compressor.